#1 New York Times bestselling author Daniel Silva delivers another stunning thriller in his latest action-packed tale of high stakes international intrigue featuring the inimitable Gabriel Allon.First there was THE ENGLISH ASSASSIN.Then there was THE ENGLISH GIRL.Now comes THE ENGLISH SPY . . .Master novelist Daniel Silva has thrilled readers with seventeen thoughtful and gripping spy novels featuring a diverse cast of compelling characters and ingenious plots that have taken them around the globe and back&from the United States to Europe, Russia to the Middle East. 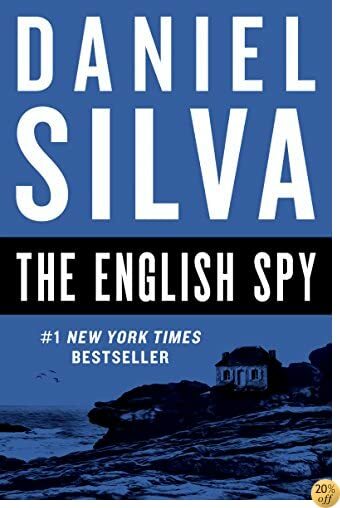 His brilliant hero, Gabriel Allon&art restorer, assassin, spy&has joined the pantheon of great fictional secret agents, including George Smiley, Jack Ryan, Jason Bourne, and Simon Templar.Following the success of his smash hit The Heist , Daniel Silva returns with another blockbuster&a powerhouse novel that showcases his outstanding skill and brilliant imagination, and is sure to be a must read for both his multitudes of fans and growing legions of converts.